Is Bee Pollen an Appetite Suppressant? "Hi Angela. I've been taking bee pollen for about six months now and I've noticed that I'm less hungry between meals. Does bee pollen act as an appetite suppressant? Weight loss and appetite suppressants are a controversial topic with many substances on the market being nothing more than snake oil. Based on the feedback I get from clients and the nutritional science of how protein, fats and micronutrients can affect and control appetite, it is safe to say that bee pollen can be used to help control appetite. 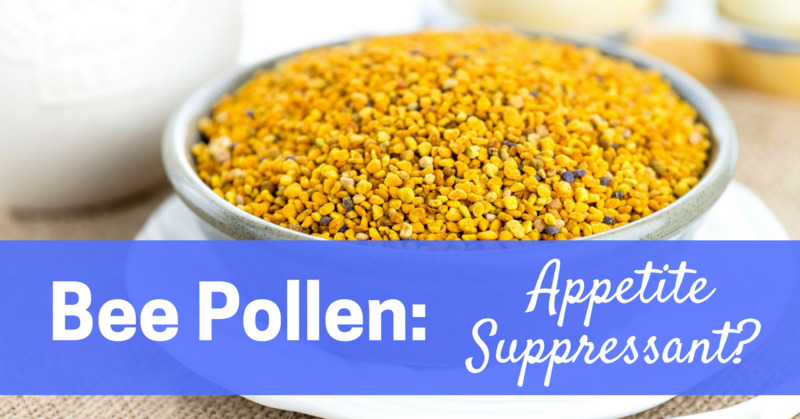 There are several different theories out there on how bee pollen works but no one has done a definitive study on bee pollens appetite suppressing abilities. We'll have to piece together the limited literature written by bee pollen experts with our own experiences to come to some conclusions. Having worked in the holistic health field for 12 years and literally eaten a ton of bee pollen in my lifetime, I've come to develop my own personal theory on how and why bee pollen acts as an effective appetite suppressant and fat loss aid. The first part of my theory has to do with something called the glycemic index and blood sugar control. The glycemic index (G.I.) is a rather complex way of looking at foods and how they act in the body once consumed, but can be summed up quickly and easily this way. The G.I. is a scale from 1 - 100 (100 being sugar and the fastest) measuring how fast a given food enters the bloodstream. Nutritional science tells us that the faster a food enters the blood, the greater the proceeding rise in insulin. With insulin being a fat storage hormone, higher glycemic foods (fast entering) tend to promote fat storage and other health issues. In a nutshell, this is why low fat, low protein, high carbohydrate (starch and sugar dominant) diets never work in the long term. Insulin levels remain elevated and fat burning is never able to get going. There are three components of all low glycemic foods - protein, fiber and good fats. All three of these lower the G.I. of foods and control insulin levels. So where does bee pollen fit into this? Bee pollen just so happens to be very high in protein and contains 14 fatty acids, both of which lead to low G.I. ratings. And while I haven't been able to find the G.I. rating on bee pollen, I can assure you based on its taste alone (not overly sweet) that bee pollen is quite low on the glycemic index and will not overly elevate insulin levels. This would explain why I hear from so many people that bee pollen seems to suppress their appetite. It also explains to me why bee pollen is such an effective snack in between meals and so effectively kills hunger pangs. When your insulin and blood sugar levels are up and down like a roller coaster, you will experience dramatic changes in energy and appetite. When you eat a high glycemic food such as white bread or a sugary drink such as a Coke, the sugar from the food enters the bloodstream rapidly. As a response, your body rapidly produces insulin which acts as a delivery mechanism for the sugar to your muscles. The problem is, when your muscles don't need anymore sugar (which for most of us is almost all of the time), the body is very efficient at converting the sugar into fat and storing it on your waist or thighs. Learn to control them with low G.I. foods such as bee pollen and you'll be well on your way to fast and effective fat loss. It is a known fact that when insulin levels are low, the body is much more efficient at burning your stored body fat. Does Bee Pollen Eliminate Nutrient Deficiencies? The second part of my theory of why bee pollen suppresses appetite is based on the concept of erasing nutritional deficiencies. You're probably wondering how this relates to appetite suppression, but bear with me, it does. If you live in an area of the world that consumes primarily a Western diet, then I can assure you that you have nutritional deficiencies. For those of wondering if your diet can be considered 'Western', I'll shed some light for you. ....then you are consuming a largely Western diet. So what is the problem with this you ask? Unfortunately, the food business has become very big and powerful and has over the last 100 years become more about profit and less about health. Why? Because it is much cheaper to make a box of pasta last on the shelf for a year than it is to replace it every 3 months because it has gone bad. It is simply good business to have the ability to 'preserve' a food with chemicals and extend its shelf life indefinitely. As a result, we know for a fact that the modern day food supply has at least 50% less vitamins, minerals and nutrients than it did in 1950. And then, once you heat or process any food, you kill or eliminate even more of the nutrients available to you. So assuming the average Westerner is eating a 100% raw, locally produced diet comprised of lean proteins, fruits and vegetables and essential fats, then that person is still down by half over what his ancestors ate 50 years ago. The problem with this assumption is that the average Westerner doesn't eat anything close to a 100% raw, locally produced diet comprised of lean proteins, plenty of fruits and vegetables and essential fats. The average Westerner eats a diet comprised mostly of heavily processed, prepackaged, chemically laden garbage disguised and presented to us as food. It is virtually devoid of vitamins, minerals, essential fats, fiber and antioxidants and instead filled with hundreds of pesticides, herbicides, hormones, plastics, sweeteners and colors. As a result, much of our population is nutrient deficient even though they are over-fed. Obesity rates are sky-rocketing all across North America - just take a look around next time you're in a public place. People are flat out getting larger. Why is this? This is where bee pollen and other superfoods come in. Many holistic health professionals feel that with our modern diets lack of nutrients, one of the causes of the obesity epidemic is actually caused by malnutrition. Malnutrition? Yes, it is possible to be malnourished if you're overweight. Eating 'empty calories' probably helped you get there. How? Well, the body has basic needs for vitamins and minerals and other micronutrients. Could it be that by eating a 'nutrient devoid' diet, your body actually asks for more and more food in order to obtain the nutrients it needs? It tells you to keep eating despite the fact that you have consumed enough calories to support its energy needs because certain nutrients are vital to health. Eating a nutrient dense food like bee pollen stops this problem in its tracks. The dozen vitamins, 28 minerals, 11 enzymes and co-enzymes, and 14 fatty acids found in bee pollen are a virtual super multi-vitamin and mineral created by nature that can not be replicated in a lab and reproduced as a pill. Because bee pollen supplies the body with so many nutrients, the body is adequately nourished and has no need to continue eating and eating and eating. The brain signals to you that you are full and voila, your appetite is suppressed. Actually, it isn't suppressed - it is simply acting how nature intended it to. The healthiest foods in the world all act this way in the body. I recommend that you test bee pollen as a snack between meals or in the evening as an appetite suppressant. I often take 1 - 2 tablespoons before bed or between meals when I am feeling hungry. And almost every time, I feel almost instantly full and satisfied and can rest assured that the pollens are not spiking my insulin and leading to fat storage. Rita Elkins, author of Healing From the Hive, claims that "bee pollens primary role in weight control appears to be its ability to stabilize a faulty metabolism." She also states that "bee pollen is rich in lecithin which helps to break down fats." Rita is correct that lecithin is a fat emulsifier and having adequate amounts of it in your system will only help the fat burning process. Whether or not it actually accelerates ones metabolism or induces fat burning is unknown but according to James F. Balch, M.D., "lecithin enables fats to be dispersed in water and removed from the body." So not only does bee pollen balance blood sugar and insulin levels (which primes your system to burn body fat), but it delivers the nutrients your body needs to actually rid the body of fat! "My question is about weight loss. I was wondering what would be the correct amount of Bee Pollen granules to take to assist with weight loss? 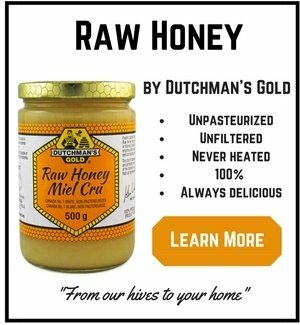 I have read many testimonials about a certain diet aid that contains Bee Pollen." There is no set way to use bee pollen for weight loss per say. Some people take 1 tablespoon about 30 minutes before meals to help fill them up and balance their blood sugar. This is very popular and the method I get the best feedback about. Other people use it as a 'meal replacement'. They take several tablespoons or more for one of their meals, usually breakfast or lunch. (they only use these high amounts after building up slowly to these levels) with water.